...the belief that there will be a future event, biblically prophesied, wherein God will take all Christians to be with Him in heaven. With foreword by Commissioner William W. Francis, Chairman of the International Doctrine Council, this book offers within 180 pages a basic introduction to eschatology and an indepth study of the biblical premise for a future Rapture. 'The next major international event on the prophetic calendar of God is the rapture of His church from this world to heaven. All those who believe in the sacrificial death for their sins on the Cross of Calvary, His bodily resurrection, and their personal commitment to Him by faith will respond to His resurrection call when He comes again. The Bible is very clear on that. The Rapture is an able defense of that time honored teaching and will bring much assurance and "hope" to those concerned about the otherwise frightening events prophecies for the end times. I share Capt. Layton's concern that everyone read this book and be spiritually prepared for the rapture event so they will not be left behind. One can only admire Captain Phil Layton for his ambitious tackling of a biblical subject that has been both a mystery and a cause of great division in the Church for many years - the eschatological event known as the Rapture. This is Phil's second book and one that singles him out as a biblical scholar and teacher. Layton, in holding to the Army's stance, takes the three primary views of the event and clearly explains each, without prejudice, backed by biblical references and clear diagrams. He explains: 'To begin with, we set the eschatological scene, aware that such concepts can be rather confusing, unfamiliar and even intimidating due to their apocalyptic nature.' There is no need to be fearful of this subject as Layton helps the reader understand step by step what the main positions are: Amillennialism (the position held by Roman Catholics and others), Postmillennialism (Presbyterians and others) and Premillennialism (Baptists and others). The book is divided into three main areas of study: the eschatological scene, which includes a section on the rapture concept; the Rapture and the biblical evidence in both Old and New Testaments; and the relevance of the Rapture. 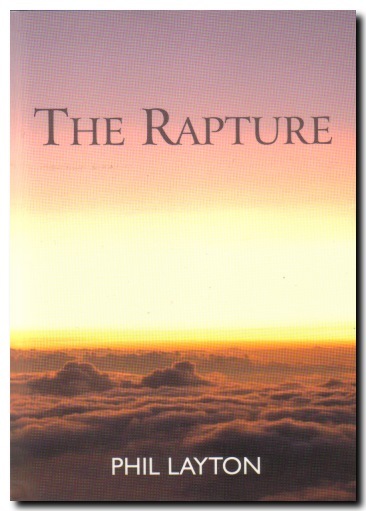 This book is made even more significant for the Salvationist as the author emphasises that studying the Rapture leads on to considering the urgency of salvation. He calls upon the reader to recognise their responsibility and, furthermore, to accept the obligation of holiness. Layton reaffirms the Salvationist belief that holiness is not an option but a by-product of our salvation. This book is not a bedtime read but one that requires some application and time. It is well worth reading and, if the reader has not considered the Rapture previously, it is a solid introduction to the topic. Captain Phil Layton BA MTh, is a Salvation Army officer and a biblical scholar. In this book he explores the scriptural evidence for the Rapture - the belief that living Christians will be taken to be with Jesus in Heaven at a time of God's choosing. He shares his personal convictions about the nature, the ordering and the unknown imminence of this miraculous event. Phil has been studying biblical eschatology since 1988. Throughout the years his eschatological studies have increased his love of God, the Bible and The Salvation Army. Since becoming a Salvation Army officer he has written two books which rely on the authority of Scripture texts alone and which highlight the importance of a personal relationship with Jesus Christ. The first was The Sacraments and the Bible. Phil serves with his wife, Karen, as corps officers (church pastors) in Hythe, Kent, UK, as well as being an occasional speaker in New Testament Studies at William Booth College, London. In addition, Phil has been a corresponding member of The Salvation Army's International Doctrine Council, and a member of its Moral and Social Issues Council in the UK. He loves taking time out to be with his wife and two children, and is very keen on playing football and organising the East Kent Church League. Prior to becoming a Salvation Army officer he was a computuer presentations designer. He has vocational qualifications in Management (NVQ4) and Information technology (NVQ3), a BA degree (Religious Studies) from the University of Kent and a Master of Theology degree from Heythrop College, University of London.